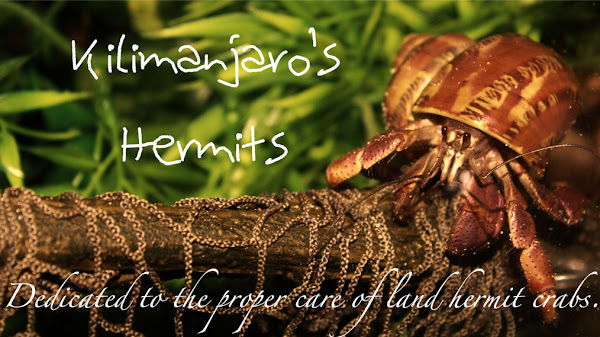 A new food is being trialed in my crabitat today. 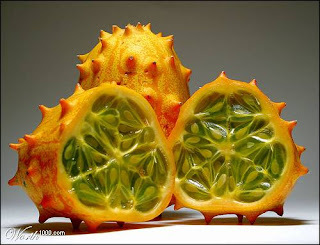 Recently, I purchased a kiwano melon (also called a horned melon, melano, and African horned melon) for $3.99 at my loca supermarket. While a little expensive, I always enjoy trying new fruits, so I couldn't pass this delectable fruit up! I came home and cup it open, scooped out the green guts and began to eat! I'm not going to lie, the texture of this fruit is a little gross - kind of like fish eggs. However, the flavor is very subtle and reminds me of a kiwi and cucumber mix. I actually enjoyed it, even though the texture was a little strange (but also kind of fun). I just recently placed the green inside into the crab tank to see how they go over with the crabs. Bon appetit!